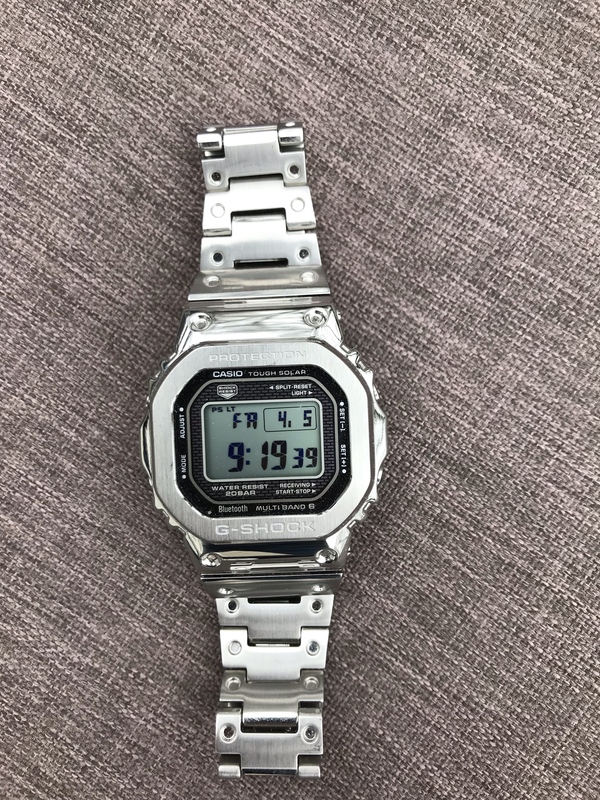 Good condition Casio G-Shock GMW-B5000, works perfectly and includes boxes, papers and all links. Slight scuffs on the bezel and desk diving marks on the clasp. There is a slight ding on the outer edge of the bezel beneath the "K", though it's only really noticeable up close. The crystal is perfect. The price reflects the condition of the watch. TZ 93%. Link to more pictures is below the image.